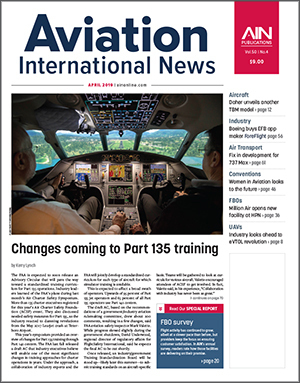 Published monthly, Aviation International News covers Business, Commercial and Regional Aviation. Print or digital subscriptions available. AIN is sent free of charge to business aviation professionals. To qualify for a FREE subscription, to renew your FREE subscription, or to update your subscription click one of the buttons below. The following newsletters are FREE to all subscribers - simply fill out the subscription form, which is accessed by clicking the button below each description. You can also use this button to update your current account information. 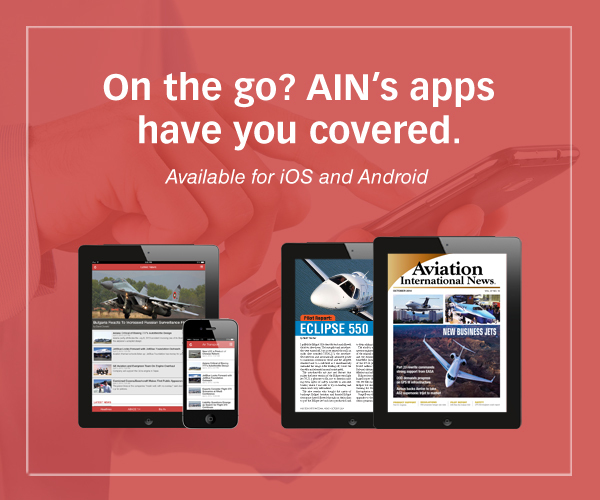 AINalerts is AIN's business aviation newsletter. It is distributed five days a week. AIN Air Transport Perspective is AIN's newsletter focused on the air transport industry. It is distributed once a week. AIN Defense Perspective is AIN's newsletter focused on the aero defense industry. It is distributed once a week.